A Gothic remake of Flowers in the Attic. A Gothic love-letter from Guillermo del Toro. Even though I guessed most of the twists well in advance, I still absolutely loved the look of this film and the decaying mansion has to be one of the most impressive sets in recent history. Loved the look of the creepy ghosts as well, plus the impressive costumes and the acting from all the leads, especially Jessica Chastain. Worth a look from the serious horror connoisseur. A bookish young American woman falls for and marries a dashing but enigmatic English nobleman, but upon moving to England she is haunted by ghoulish apparitions that seem to inhabit his decrepit old ancestral home. "Ghosts are real. This I know." No posts have been made on this movie yet. 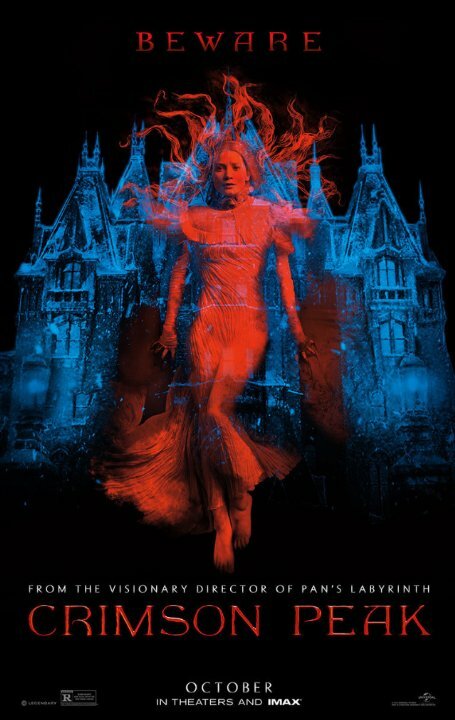 Be the first to start talking about Crimson Peak!